VIENNA, VA ─ April 22, 2019 – Vidsys, the global leader in Physical Security Information Management (PSIM) and Converged Security and Information Management (CSIM) software, today announced that the Board of Directors has promoted company Vice President of Product Innovation Maurice Singleton as the new President of Vidsys. 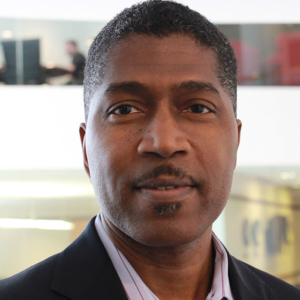 Maurice Singleton is a founding member of Vidsys and has extensive experience in physical and information technology systems and solutions. He has held various leadership roles at the company and has led business initiatives for the development of innovative product enhancements, customer experience improvements, business growth and expansion into emerging markets, as well as contributions to shape the PSIM/CSIM platform architecture. Improving customer success and adoption – strategically allocating resources to ensure 100-percent satisfaction. Enhancing sustainable operations – investing in our people, product and delivery model to improve the ease of installation, support and maintenance. Product evolution – harnessing new streams of sensor data and increasingly connected tools to give operators better intelligence and faster resolution. Headquartered in Vienna, Virginia, USA, Vidsys provides transformational Physical Security Information Management (PSIM) and Converged Security and Information Management (CSIM) software platform that has been adopted by some of the world’s leading brands and technology partners within key verticals including Transportation, Energy, Utility, Healthcare and Government. Vidsys software has obtained highest levels of information security and assurance from both top-tier global corporations and the US federal government. Vidsys is hardware, protocol and device agnostic and offers bi-directional, a browser-based platform with industry-specific features and functions that allows sensors, devices, systems, subsystems, and services to be interconnected via APIs and SDKs. The platform collects, correlates and converts vast amounts of data into meaningful and actionable information, based on the organization’s risk policy, standards and compliance requirements. By leveraging mobile and web-based technology, the software can be rapidly deployed and provides real-time situational awareness and information management capabilities. For more info, please visit www.vidsys.com. Read Press Release on the Business Wire. 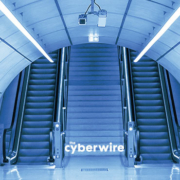 The CyberWire’s daily podcasts take a look at what’s happening in cyberspace, providing clear and concise summaries of the news and commentary from industry experts and partners. In this episode, Vidsys President, Maurice Singleton, discusses the convergence of IoT security devices and IT security. Visit The CyberWire to listen to the full podcast now. 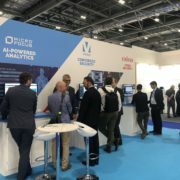 Arcules provides the Arcules integrated video cloud service, which combines untapped video and sensor data with the latest technologies in cloud, artificial intelligence, and machine learning to deliver actionable business and security intelligence for modern organizations. IOmniscient Corp. provides facial recognition software that can recognize multiple faces even in crowded and uncontrolled scenes. 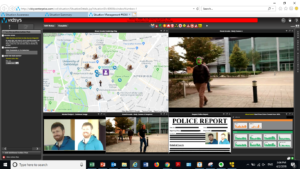 Matching faces with an existing database, the system can detect an unauthorized person and track him or her across non-overlapping cameras. 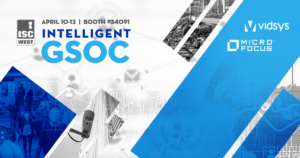 Pivot3’s intelligent infrastructure is optimized to deliver performance, resilience, scalability and ease-of-use required for enterprise-class security, video surveillance and IoT deployments. UL LLC is working to increase the prominence of the Underwriter Laboratories brand in cybersecurity with the UL Cybersecurity Assurance Program (CAP). The UL 2900-1 standard, the standard that offers general requirements for software cybersecurity for network-connectable products, was published in 2016 and in July 2017 was published as an ANSI (American National Standards Institute) standard. The company is committed to educating and supporting customers with their evolving needs to provide a more holistic view of risk and throughout the overall business process re-engineering necessary to create significant value across the entire organization. This article originally appeared on SecurityInformed.com. To read the original article, visit their website. “Keeping Corporate Campuses Safe”, by Vidsys VP of Product Innovation, Maurice Singleton, was featured as a top story in the online edition of GIT Security Magazine, EMEA. In the article, Maurice details the ways in which Corporate Campuses can utilize Converged Security and Information Management (CSIM) Software to increase workplace efficiency and facilitate overall operational security efforts. The full article is available now at git-security.com. https://www.vidsys.com/assets/Vidsys-Logo-Web1-1-300x138-2-300x138.png 0 0 Vidsys https://www.vidsys.com/assets/Vidsys-Logo-Web1-1-300x138-2-300x138.png Vidsys2019-03-11 12:25:202019-04-03 11:35:47Vidsys VP of Product Innovation Featured GIT Security Magazine Article: "Keeping Corporate Campuses Safe"
Vidsys CEO, James Chong, explains how physical security information management (PSIM) today is continuing to evolve, giving way to converged security and information management. The story was featured by The Innovation Enterprise and is available on their website. https://www.vidsys.com/assets/Vidsys-Logo-Web1-1-300x138-2-300x138.png 0 0 Vidsys https://www.vidsys.com/assets/Vidsys-Logo-Web1-1-300x138-2-300x138.png Vidsys2019-02-28 10:16:102019-04-03 11:35:47Featured Article: "What's Next for PSIM?" The full article, published in Security Sales & Integration Magazine, is available on their website. 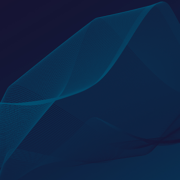 VIENNA,VA., – Feb. 13, 2019 — Based on its recent analysis of the global Converged Security Information Management (CSIM) system market, Frost & Sullivan recognizes Vidsys, Inc. with the 2019 Global Technology Leadership Award. 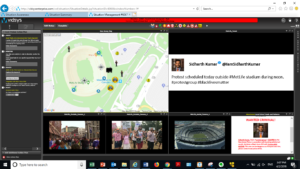 Vidsys’ comprehensive, intelligent, and open architecture CSIM software platform, RiskShield Enterprise, empowers security personnel to monitor an organization’s ecosystem for both cyber and physical security events through a single, user-friendly interface. The system aids in informed decision making and helps operators proactively manage situations by offering them a comprehensive view of the enterprise’s security posture. RiskShield Enterprise connects an organization’s vital security systems, such as IT security information and event management (SIEM), video surveillance and management systems, security analysis, investigative tools, and reporting platforms, allowing operators to base their decisions on a holistic view of the entire ecosystem. The software then alerts operators of potential security risks to their IT infrastructure, buildings, assets, or employees. RiskShield Enterprise operates as a top layer to the customer’s existing systems; thus, Vidsys can tailor enhancements and implement those changes without causing any operational downtime. As a vendor-agnostic system, the CSIM platform integrates seamlessly with over 350 third-party legacy and new technologies and is scalable for businesses of all sizes in any industry. Some of the solutions and systems with which the platform can be integrated include video management, identity and access management, building management, security sensors, weather forecasts, fire alarms, analytics, smartphones, intruder detection, computer-aided dispatch, and social media platforms. Moreover, RiskShield Enterprise can link multiple independent organizations’ systems, such as public and private critical infrastructure, which rely on each other for vital information. Each year, Frost & Sullivan presents the Technology Leadership Award to the company that demonstrates uniqueness in developing and leveraging new technologies that deliver significant customer value. 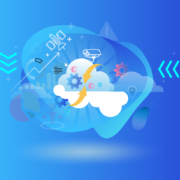 Vidsys is hardware, protocol, and device agnostic, and offers bi-directional, browser-based platform with industry-specific features and functions that allows sensors, devices, systems, subsystems, and services to be interconnected via open architecture APIs and SDKs. The platform collects, correlates and converts vast amounts of data into meaningful and actionable information, based on the organization’s risk policy, standards and compliance requirements. By leveraging mobile and web-based technology, the software can be rapidly deployed and provides real-time situational awareness and information management capabilities. For more info, please visit www.vidsys.com. Frost & Sullivan, the Growth Partnership Company, collaborates with clients to leverage visionary innovation that addresses the global challenges and related growth opportunities that will make or break today’s market participants. For more than 50 years, Frost & Sullivan has been developing growth strategies for the global 1000, emerging businesses, the public sector, and the investment community.